Doncaster and Bassetlaw Teaching Hospitals NHS Trust is training assistant pracitioners as part of an 18-month pilot scheme. An NHS trust is training assistant practitioners (APs) to boost its workforce and bridge the gap between healthcare assistants and nurses. Doncaster and Bassetlaw Teaching Hospitals NHS Trust has introduced the AP role as part of an 18-month pilot scheme jointly funded by the trust and Health Education England, and in partnership with Sheffield College. The trust is one of several trusts across the Humber and Yorkshire region involved in a trainee AP project to meet the needs of the area’s workforce. 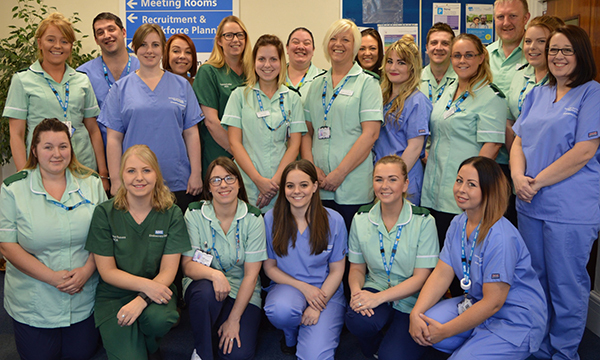 Once qualified, the 27 trainee APs will support staff on specialist wards and clinical departments at Doncaster Royal Infirmary, Bassetlaw and Montagu hospitals. They will also contribute to care for older patients, and to those with bone and muscle conditions. The first group of 22 trainees started at the end of January and a five more started in March. Cindy Storer, head of nursing and quality for the trust’s muscular skeletal and frailty care group, said: ‘We are very pleased to be part of this collaborative venture. ‘The aim is to have staff working at a higher level than healthcare assistant and be active members of the multidisciplinary team in the ward. Health Education England confirms proposals to train more nursing associates.